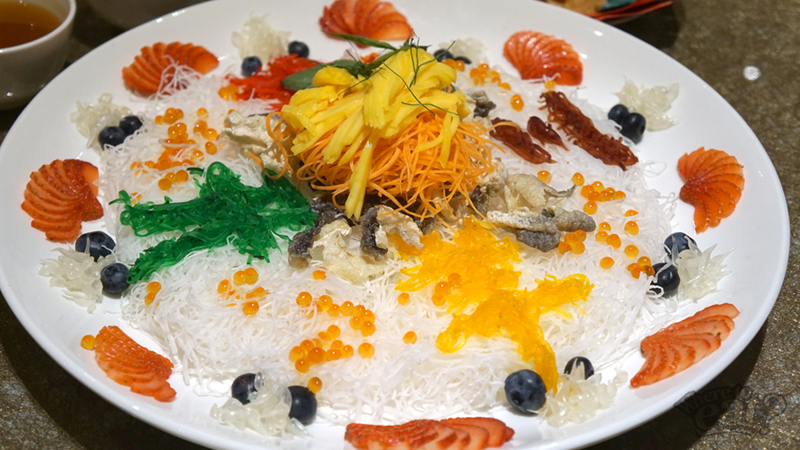 Starting off the feast, enter the colourful Yu Sheng (Prosperity Toss/ Raw Fish Salad) with 18 ingredients, including abalone and golden salmon roe. What makes this Yu Sheng dish different from those of other restaurants is the generous use of fruits such as mango, strawberries and blueberries, creating a sweet, refreshing and juicy taste. The restaurant’s signature crispy deep-fried salmon fish skin is also featured in this auspicious platter. This dish hits all the right spots with its uplifting flavours and textures. Serves up to 8-10 guests. A 1 day advance order is required. 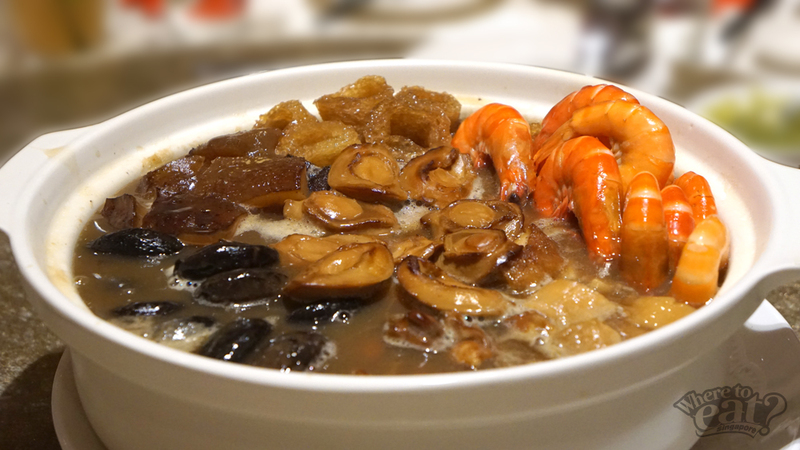 This hearty Pen Cai offers a satisfying seafood lineup of whole abalone, premium sea cucumber, conpoy, sea prawns, dried oysters and fish maw. What’s really impressive is the Pen Cai broth, a tasty blend of distinctive gravy soup from Chef Lee, spongey fresh fish maw from Yaowarat, and a spicy green chilli sauce. We loved the harmonious blend of flavours. Serves up to 6-10 guests. A 2 day advance order is required. 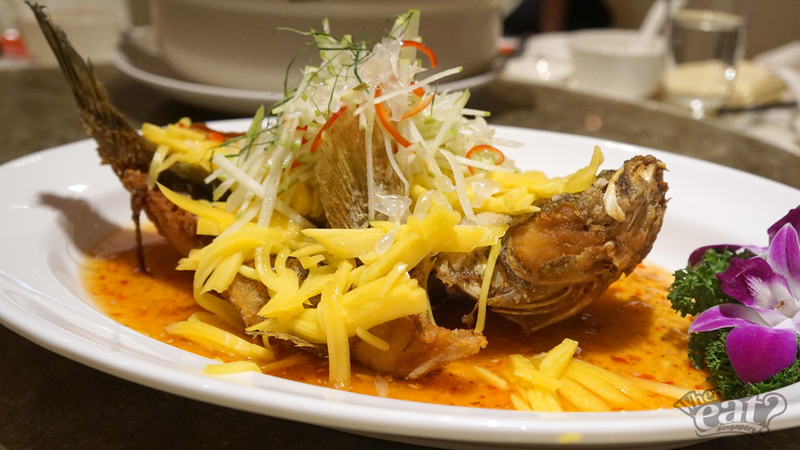 This Soon Hock fish is commonly found in traditional Chinese cuisine, and TAO Seafood Asia gives this dish a distinctive sweet & sour Thai flavour. Fried to a golden crisp, this symbolic fish dish sits atop a special blended sauce, and is served with fresh slices of mango, green apple and onions, creating a unique and refreshing taste. Serves up to 3-4 guests. A 2 day advance order is required. Don’t be fooled by this simple looking dish- it packs a flavourful punch! 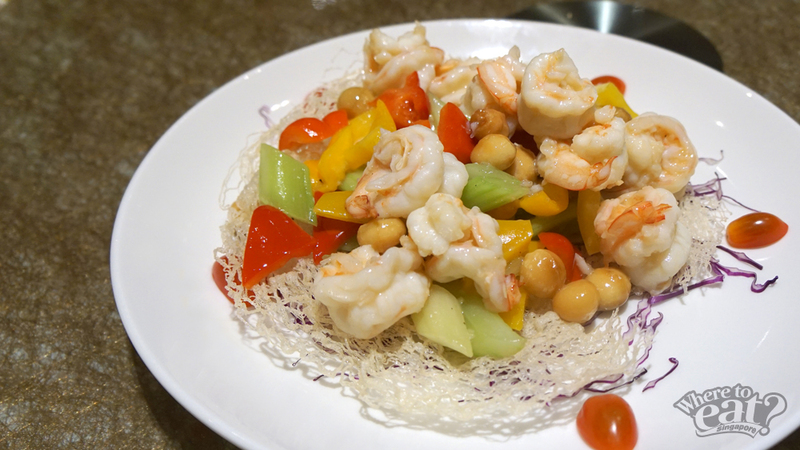 A Thai-Teochew take on sautéed prawns, enjoy savoury fresh prawns with whole macadamia nuts, crunchy celery and bell peppers and zesty sweet strawberries. Thumbs up from us! Serves up to 3-4 guests. A 1 day advance order is required. 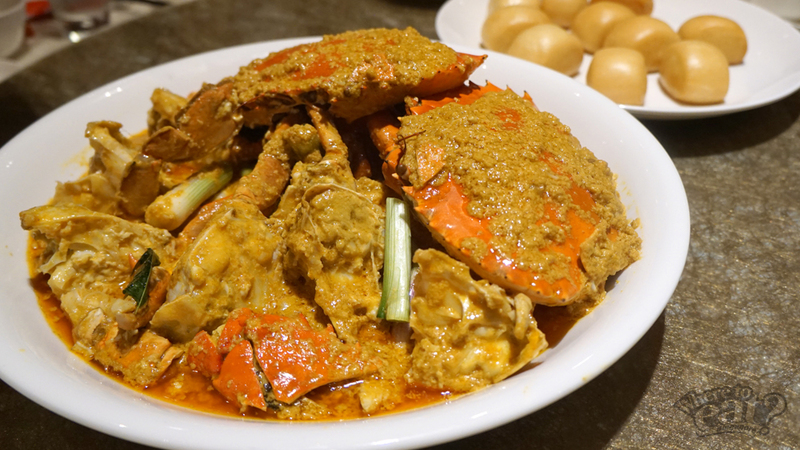 This curry crab dish is not very spicy, but it is certainly very addictive! With hints of coconut milk, this Thai-Teochew take on the Singaporean favourite seafood dish is a surefire winner at the dining table. Fresh Sri Lankan crabs are simmered over slow fire, wok-fried, and glazed in the spice-accented gravy cooked with Thai basil leaves, small green and red chilies, coriander, kaffir lime leaves, and raw palm sugar. Don’t forget to dip the golden fried buns into the curry too! Mmmm. A 1 day advance order is required. Lastly, we were served Nian Gao, but with a twist! 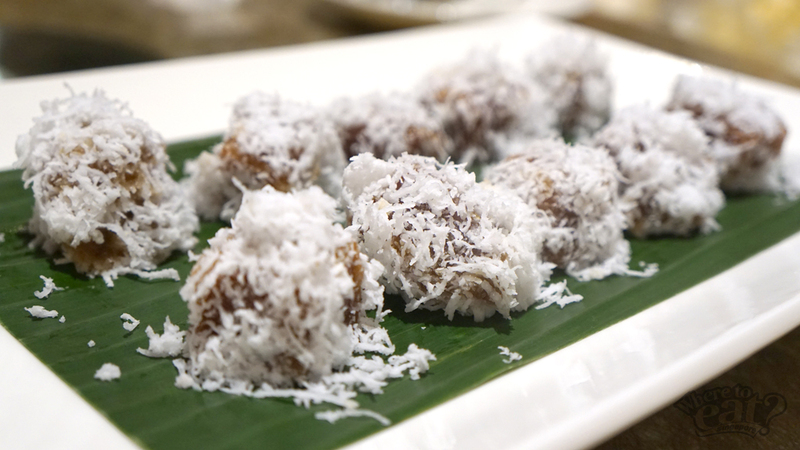 The TAO version looks like the Malay sweet kueh, ondeh ondeh, with shredded coconut. It’s an innovative way to the traditional Chinese dessert but it was not really to our liking. You’ll also be spoilt for choice by the variety of other dishes that TAO Seafood Asia has to offer. Overall, we enjoyed the unique, innovative Thai-Teochew take on traditional CNY cuisine, as well as the twist to local favourites like Curry Crab. We think that a kingly spread is a great way to usher in the Year of the Goat!